This April, for the first time ever, R&B sensation Jacquees is coming to Australia! Jacquees is excited to entertain his Australian fans, performing his single "B.E.D" and hits from his Billboard-charting albums. 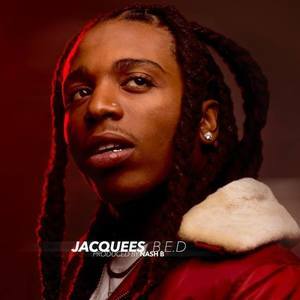 Jacquees has collaborated with several great artists throughout his career, having recorded songs with T.I., Travis Porter, Lil'Chuckee (Cash Money/Young Money artist), Quincy (Diddy's son) and will be working with more industry greats on his next project. More recently he has been working on songs written by award-winning writer Ne-Yo, and will be in the studio working on his upcoming iTunes album 'Round of Applause' with other notable writers including Jagged Edge's Brian & Brandon Casey, Musiq Soulchild and TC, who has penned songs for several artists including, Beyonce'. • Please note that all VIP package purchasers will be contacted by Urbanville via email 2 weeks prior to the actual show date with additional details specific to their package schedule and instructions on where to pick up their package inclusions. • If you do not receive an e-mail a week prior to the event please contact mailto:urbanvilleent@gmail.com.